Using high quality LED which has high luminance, low Light attenuation, can replace traditional incandescent lamp and halogen lamp, had good energy saving effect. 7. No UV or IR radiation, no electromagnetic interference, green lighting without harmful emission. 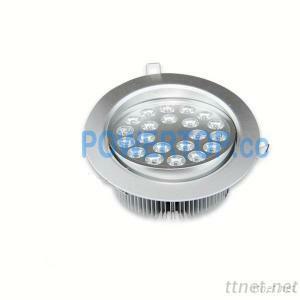 Residence, Hotels, Conference Rooms, Offices, Factories, Hospitals, Schools, Public Buildings, Commercial lighting etc.